The US Army has ordered seven new uniquely configured Black Hawk combat, transport and tactical support helicopters for Mexico from the Sikorsky division of Lockheed Martin, the Department of Defense announced. “Sikorsky Aircraft Corporation, Stratford, Connecticut, was awarded a $54.9 million… foreign military sales contract (Mexico) for seven uniquely configured UH-60M Black Hawk helicopters,” the announcement stated on Monday. The Sikorsky UH-60 Black Hawk is a four-bladed, twin-engine, medium-lift utility helicopter that has been operated by the US Army since 1979. 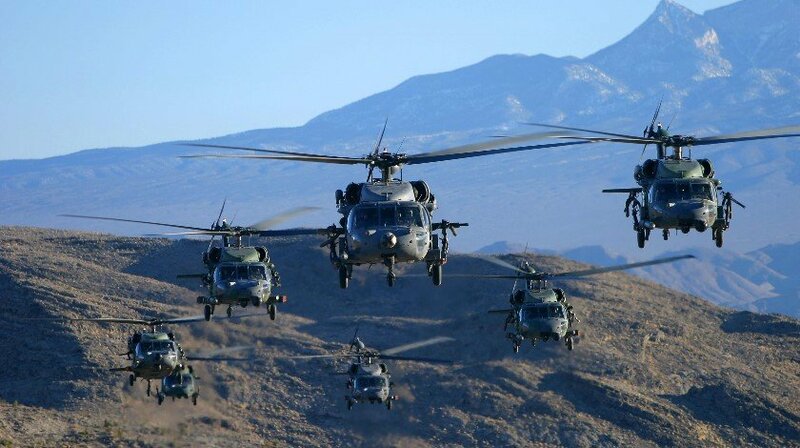 Black Hawk helicopters can carry 2,640 pounds (1,200 kg) of cargo internally, including eleven troops or six stretchers, or 9,000 pounds (4,100 kg) of cargo externally.